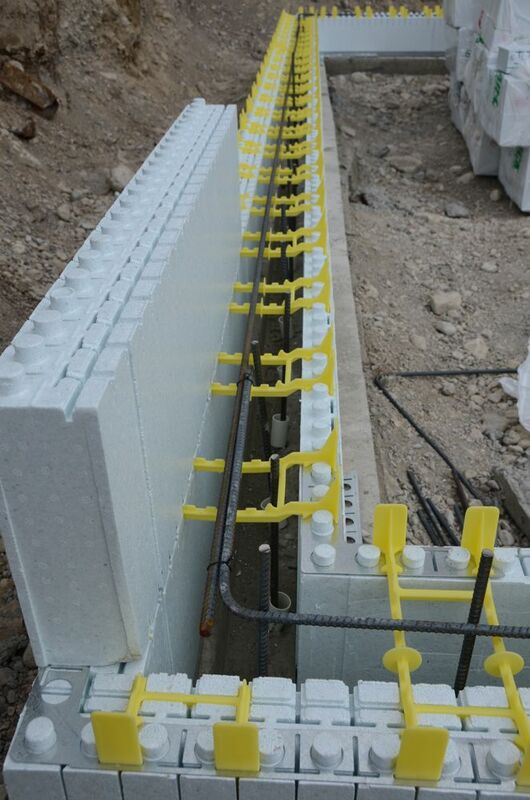 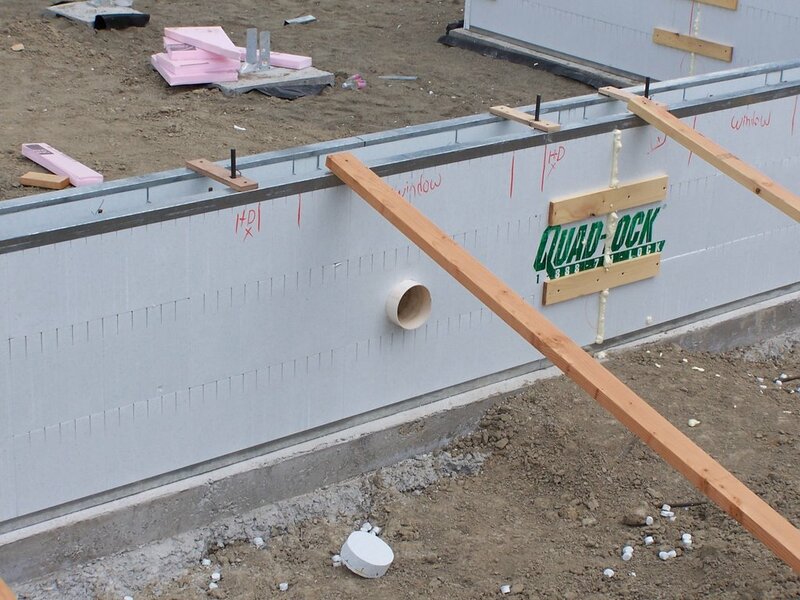 We chose Quad-Lock forms because it gave us the ability to increase the R-value over standard ICFs. Whereas wooden forms are removed (and reused) after the cement wall is poured and hardens, the Quad-Lock forms stay in place and serve as insulation (unlike most homes, our crawl space is insulated). 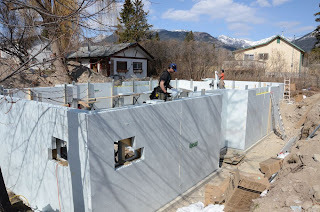 Here you can see the 4 1/4″ outer wall and the 2 1/4″ inner wall, yielding R-3o.Usually, the forms for a foundation wall are made using wooden forms, but we used Quad-Lock ICFs (insulated concrete forms). They’re made of expanded polystyrene and look a lot like Legos. 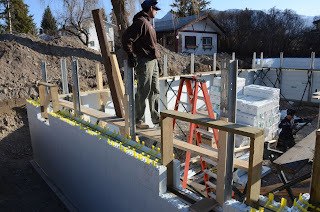 Incorporating Quad-Lock Insulating Concrete Forms into our new housing made this job a whole lot easier. 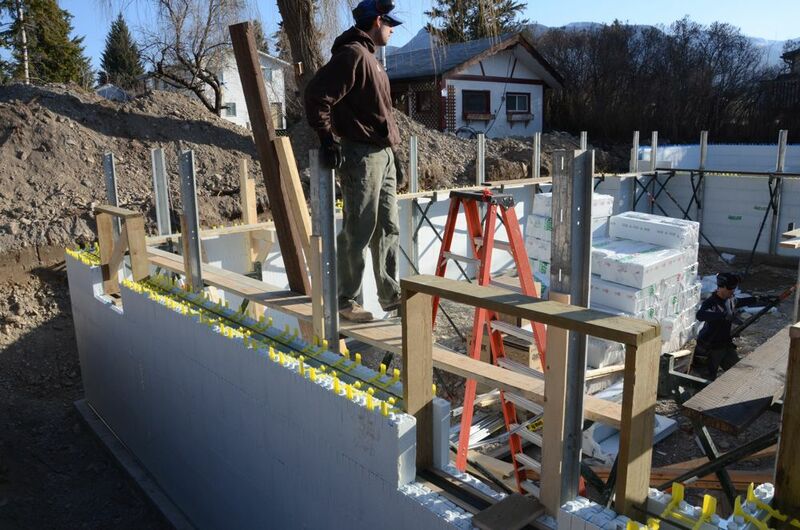 We effectively tripled our homes’ R-values over standard construction materials, an important accomplishment in the heat-sapping winters in Yellowstone. 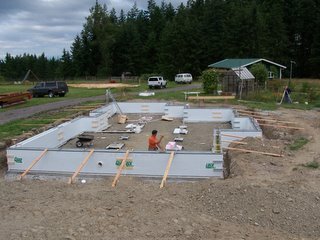 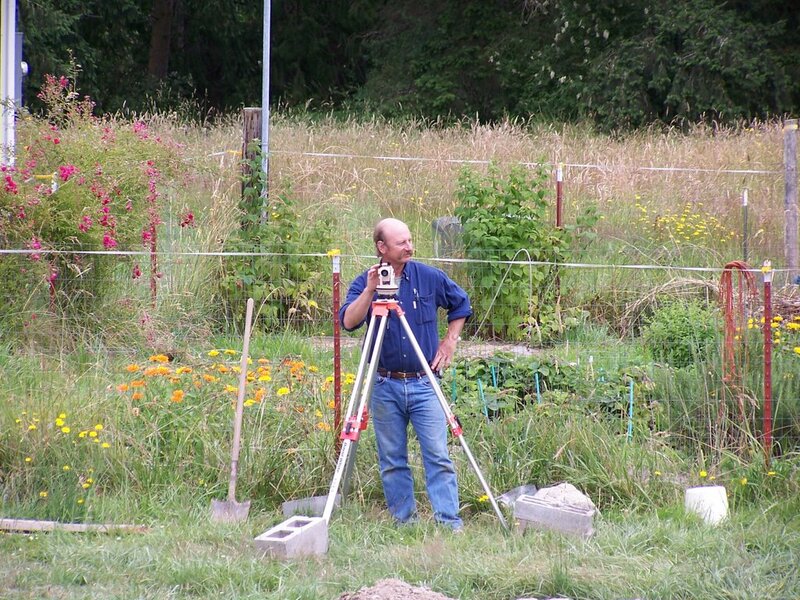 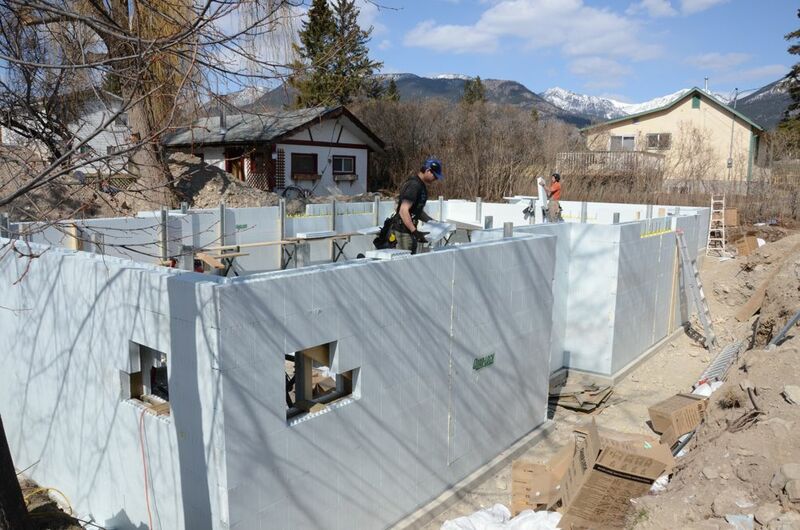 Additionally, our ICF walls are excellent heat sinks that augment the effectiveness of the houses’ passive solar design, maintaining a comfortable living environment year-round and minimizing the number of days we have to heat the buildings. 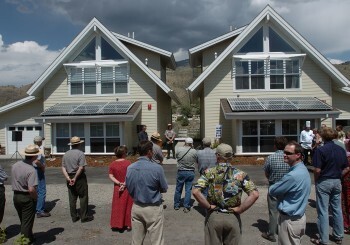 Without the energy-saving qualities of Quad-Lock walls, there’s absolutely no way we could have submitted these homes for LEED certification.